As we were driving home in the dark after a long day of teaching and then team devotions, we were listening to some music. 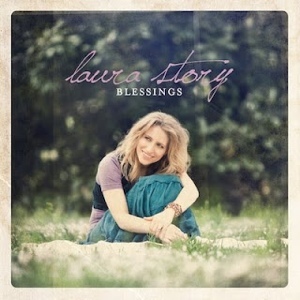 One of my favorite songs came on, "Blessings," by Laura Story. What if your blessings come through raindrops? What if your healing comes through tears? What if a thousand sleepless nights are what it takes to know you're near? What if the trials of this life are your mercies in disguise? As I write this post six hours later, it is another one of those sleepless nights. I don't think I can handle a thousand, but I am definitely learning to depend on the nearness of my Lord on these nights. I love how this song flips our expectations on their head. When I think of "blessings" I most often think of things that bring me comfort. But wouldn't it be amazing if I desired the comfort of being close to my Lord more than I desired a comfortable life? I wish I could say that this is how I feel, but honestly I spend much of my prayer time asking God to make me more comfortable circumstantially. I am not suggesting that we should not ask God for things that seem good to us, like a good night's sleep. But the question is, when God says no, will I see that as his loving response because He has something better in mind (like drawing me into greater dependence upon him)? The song continues on and reminds us that, "this is not our home." What a good reminder! The trials of this life are temporary! For all of God's children, those who trust in Jesus' righteousness, one day we will be home and will have true rest and will not experience these trials. But while I am here, I pray that God will help me to view the trials of this life as his "mercies in disguise."